Every year Software Advice, an online resource for HR and applicant tracking software, speaks to thousands of individuals and companies in the market for applicant tracking systems (ATSs). 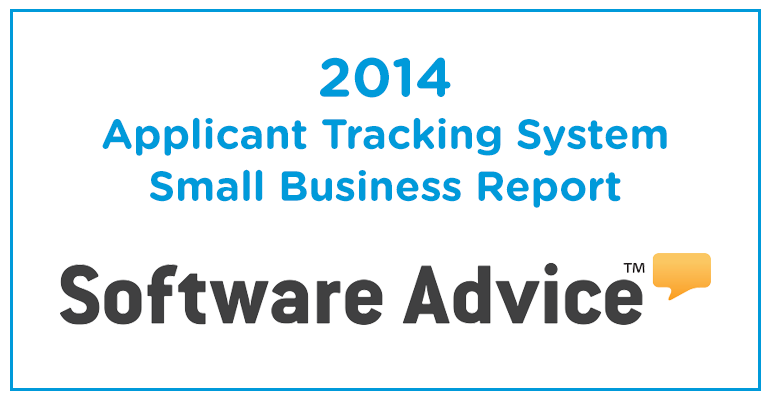 In our latest blog we take a look at the ‘2014 Applicant Tracking Report’ by Software Advice, reviewing what small businesses are using, what they are looking for and the features they desire most from their ATS. 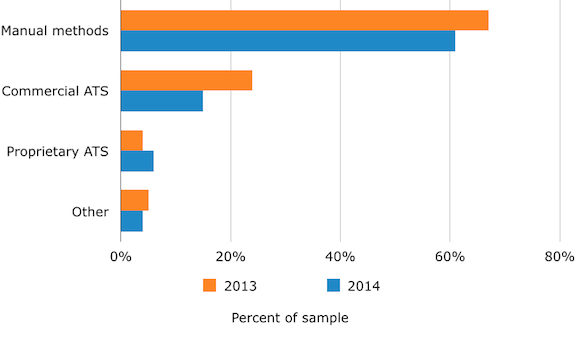 The percentage of buyers using manual methods to track applicants has decreased since 2013. 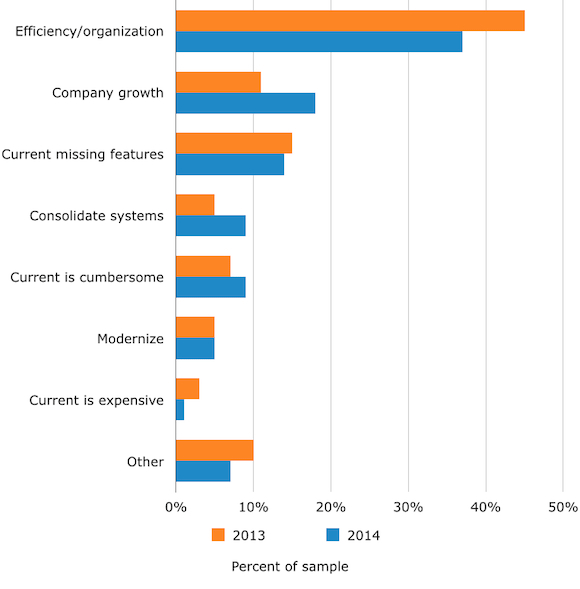 As compared to 2013, more buyers are seeking new ATS software in 2014 to support company growth. 40% percent of buyers want an ATS with the ability to automatically post jobs to social media and job boards. 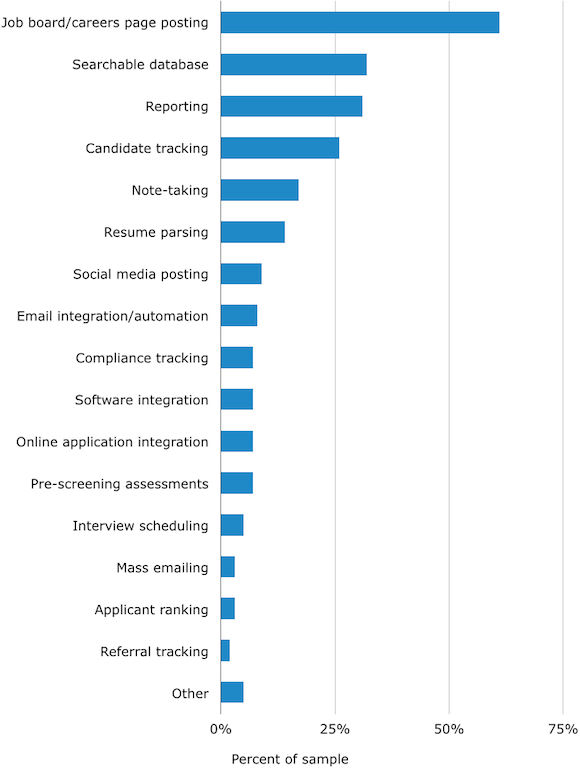 61% of buyers are still using manual methods to track candidates. Top reasons for purchasing ATS software include increasing efficiency, company growth and missing features. Other reasons for purchasing ATS software include consolidation of systems, better pricing and modernisation. All upgrades included in monthly price. Powerful job board connectivity, seamless integration with Broadbean. Advanced LinkedIn integration. Search, parse and view candidates all from within HRS. Full mobile compatibility. Access your full database away from the office. Super fast boolean search. Search within any field in a candidate or contact record. If it’s in there you’ll find it. If you want to take your business to the next level and grow with HRS head over to our dedicated recruitment software pages or book a product walkthrough with one of our recruitment tech specialists. Carl Holst-Roness: Chief perfectionist at HRS and a lover of all things tech! HRS Software Update | Social Sourcer, Scheduler and more!